Honda Motorcycle and Scooter India Pvt. Ltd. celebrated Independence Day by conducting a week long National Road Safety Campaign for children across India. 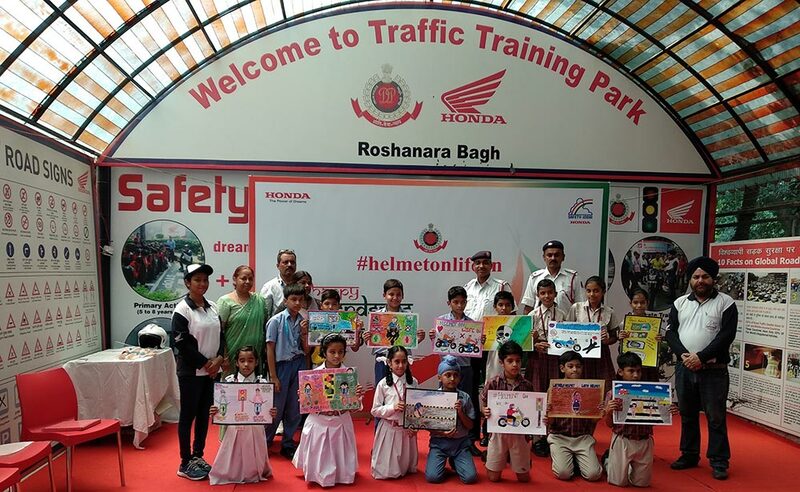 Engaging over 1,000 children from 30 schools, Honda’s #HelmetOnLifeOn initiative was conducted in 9 cities including Delhi, Chandigarh, Bhubaneswar, Cuttack, Jaipur, Karnal, Ludhiana, Hyderabad and Coimbatore. Young minds in the age group of 9 to 13 years were educated on the importance of helmet usage. Vowing to make Indian roads safe for all, Honda aims to “Catch them Young’ and nurture them to become Safety Champs in all aspects of road safety starting as a pedestrian to becoming a rider. Honda wants to make road safety a daily habit for children which will last them their lifetime. As a responsible two-wheeler manufacturer, Honda has educated over 20 lac Indians on road safety. Honda firmly believes that children are the nation builders of tomorrow. Learning about the importance of helmets while on a two-wheeler early in life, will not only make them safe riders in the future but also act as a check for their family members. Children got a chance to learn about two-wheelers and the importance of wearing appropriate riding gear. The safety champs also participated in inter school drawing competitions which further cemented the importance of helmet in a fun way. Road safety awareness sessions on importance of helmet usage were also conducted. Honda’s specially trained road safety instructors also educated children about do’s and don’ts while commuting in a school bus and riding bicycle on the roads. Specially imported 50cc CRF 50 motorcycles were used to spread the message of #HelmetOnLifeOn in a fun way.